Solid shutters help block out light, prevent draughts and reduce unwanted noise. Find your favourite finish in our collection. We talk you through the key features of this trend and show you how you can get just the right amount of bright in your energised décor. The single-piece design blocks out the majority of the light at the window. 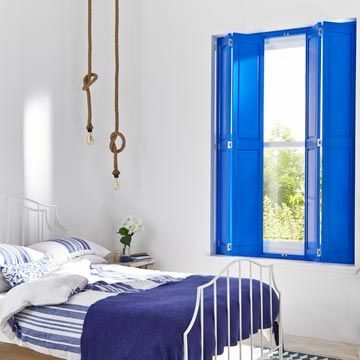 So when dawn comes, solid shutters help keep the sun at bay and darken your room, leaving you to sleep straight through to when your alarm goes off. A solid shutter at your window also offers an added insulating layer, helping to stop draughts and keep warmth inside your home. When choosing a solid shutter, you don’t have to sacrifice style. You get to pick from an exceptional range in wood and 49 coloured finishes. This means you can be sure your solid shutter suits your décor. 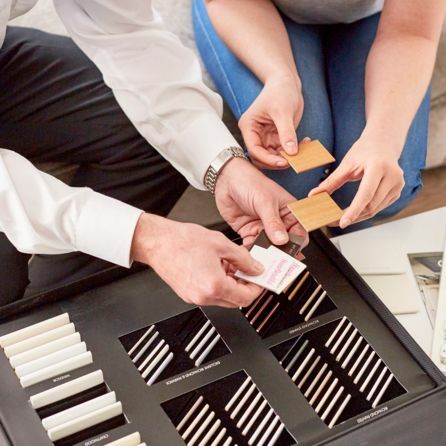 Book an in-home appointment with a Hillarys advisor to find out more about solid shutters. Your advisor will be able to show you examples and offer ideas about what will look best in your room, before measuring and giving you a no-obligation quote.